Gareth Jones left Cambridge University in 1929, having gained a First-Class Honours in French, Russian and German to join Mr. David Lloyd George, former Prime Minister to Great Britain (1916-1922). He commenced his new employment as a Foreign Affairs Advisor on January 1st, 1930. From 1930 to 1933, Gareth visited the Soviet Union on three occasions and after each, he wrote articles for a number of newspapers regarding conditions he observed resulting from Stalin's Five-Year Plan. On the first occasion in 1930, Gareth reported back to Lloyd George at his country retreat in Churt, Surrey . There he met Lord Lothian, a former wartime secretary to Lloyd George (and later the British Ambassador to the U.S. ), who recommended that Gareth should publish his articles in The Times. His second independent visit to ' Russia ' in 1931 (as the USSR was widely known at the time in the West) occurred after being head-hunted for his Soviet expertise by the leading American public relations expert, Dr Ivy Lee. It was at Lee's request that Gareth accompanied a young Jack Heinz II (heir to the food manufacturing empire) to Russia and Ukraine , whereby sleeping on the 'bug-infested floors' of Soviet peasantry, they personally experienced the onset of starvation in Ukraine . Heinz took Gareth's copious diary notes and in early 1932 anonymously published (though containing a foreword under Gareth's name) a damning appraisal of 'starving' peasant life in the USSR . Due to the Great Depression, Gareth's one year contract with Lee was terminated and he returned from New York in mid-1932 to rejoin David Lloyd George's employ. In October 1932, there were increasing rumours within informed London circles and other circumstantial evidence which Gareth had gleamed from recently acquired copies of Izvestia of an on-going famine. As a result he wrote two newspaper articles in a series entitled "Will there be soup?" to highlight the forthcoming winter crisis, before arranging his affairs so as to observe it for himself at his earliest opportunity in the following March.. Early in 1933, Gareth made an extensive tour of Europe . In February one month after Adolf Hitler had been made Chancellor of Germany (and just 3 days before the burning of the Reichstag), Gareth was afforded the 'privilege' to become the first foreign journalist to fly with the newly elected dictator to a rally in Frankfurt-am-Main. The following month in early March 1933, after an 'off-limits' walking tour of the Soviet Ukraine, Gareth, a young man of just 27 years, exposed to the world the terrible famine-genocide that had befallen the Soviet Union and gave reasons for this tragic state of events. It was in the same week that Malcolm Muggeridge had three unsigned famine articles in the Manchester Guardian published, though at the time, due to the more reported Jewish problems in Germany , they went almost unnoticed. Gareth's story however, broke world-wide with much credence (by virtue of his position with Lloyd George) from a Berlin press interview on the 29th March 1933, and was published in the USA as 'exclusives' on the same day by Pulitzer prize winners; H. R Knickerbocker (1931) and Edgar Adsel Mowrer (1933)..
"Throwing down Jones was as unpleasant a chore as fell to any of us in years of juggling facts to please dictatorial regimes—but throw him down we did, unanimously and in almost identical formulas of equivocation. Poor Gareth Jones must have been the most surprised human being alive when the facts he so painstakingly garnered from our mouths were snowed under by our denials." Undaunted, in a published letter to the New York Times, Gareth reasserted his observations of famine and also stingingly rebutted Duranty describing Moscow-based foreign correspondents as being "masters of euphemism". This was to be Gareth's final visit to the USSR , no doubt personally countenanced by the Soviet Foreign Minister, Maxim Litvinov, with whom he had a private audience just before leaving Moscow . It is now known that Gareth's diary notes of the meeting note the single word "prevarication" to simply comment upon Litvinov's flat denial of a famine actually raging in the villages. Following a forced year in the political reporting wilderness; having been virtually ostracised by all his former political and newspaper contacts within the British 'Establishment', including his former employer Lloyd George, Gareth found a job as a local reporter for the Cardiff Western Mail, covering stories about rural Welsh arts & crafts. Fortune often favours the brave and in June 1934 during the course of his local Welsh reporting, Gareth interviewed Randolph Hearst, the world's leading press baron, who happened to own a castle outside Cardiff called St. Donat's, which he used as his British base. Hearst was in the process of removing his support for the Bolsheviks in his fears that F.D. Roosevelt's 'New Deal' was too left wing and knowing of Gareth's previous Soviet reporting, wanted to meet him again so as to spearhead Hearst's then forthcoming anti-Red campaign of 1935. In December 1934, Gareth travelled across the USA and delivered a key note speech at The Institute of World Affairs in which it would not have gone unnoticed in Moscow that he he accused them of; ‘ The exile of five million Kulaks was one of the most brutal crimes in European history.' On the New Years Day, 1935, Gareth met Randolph Hearst for lunch on the terraces of his palatial estate of St. Simeon in California, Gareth was personally commissioned to repeat his 1933 famine observations in three very heart-rending and most vitriolic anti-Stalin articles for the Hearst stable of US papers - in which he also correctly recognised that Kirov's recent murder in the USSR was probably committed by Communists themselves and as a result, a new wave of Stalinist terror ensued, now known as the beginning of the Stalinist Purges. Instead of again trying to publicly deride Gareth's articles, a month later, and conveniently for the Soviets, whether by accident or more probably by design, Hearst was 'furnished' with a series of fraudulent articles and bogus famine photo claiming an on-going Ukrainian famine in 1934, by one 'Thomas Walker,' a then unknown, convicted-conman who had absconded from Colorado prison. Walker, whose real name was Robert Green, was easily exposed as a complete charlatan by Louis Fischer (armed with evidence that Green had only spent 5 days in the USSR in 1934, and therefore could not visited Ukraine - information readily supplied to him by the Soviet authorities). Without ever-mentioning Gareth's name, Fischer was thus able to destroy the credibility of all of Hearst's reporting of any Soviet famine. Gareth would have been completely unaware of Fischer's 13th March 1935 letter (entitled 'Hearst's Russian 'Famine'') in the US weekly, The Nation exposing Thomas Walker's fake reporting, otherwise one would have expected him to contribute to the debate in the US, especially as he had spearheaded Hearst's first series of anti-Soviet articles in 1935 . The precise timing of Fischer's article coincided with the exact start of a period when Gareth became effectively incommunicado whilst 'back-packing' around South East Asia in Search of News. Prior to this journey and whilst residing in Japan , Gareth had been provided with free accommodation by a fellow journalist Günter Stein, who himself had just arrived in Tokyo from London . However, unbeknown to Gareth, Stein was actually an alleged Soviet spy, loosely but not exclusively associated with the famous Richard Sorge spy ring. One might perhaps wonder whether Stein not only reported Gareth's immediate itinerary to his spy masters in Moscow, but if it possibly resulted in the 'go-ahead' for Fischer's 4th March dated letter to be 'safely 'published (just two days after Gareth left Stein's apartment on 11th March)? October 1932, Gareth Predicts an Impending Winter famine, from reports gathered in London. Worldwide Exposure of the Great 1932-33 Soviet Famine, following an unescorted trip across the countryside of Ukraine. His most vitriolic anti-Stalin articles which were commissioned by Randolph Hearst in January 1935. As there are so many articles which cover roughly the same ground, we have high-lighted his most noteworthy ones with red asterices [*], so as to avoid repetition for the reader. 1) Gareth’s visit to Russia & Ukraine in August 1930. The News Chronicle, London . 3 October 1930. *The Snobbery of Soviet Russia. By an Englishman recently returned from Moscow. The Times, London. The Two Russias. 13 -16 October 1930. "The brief series of articles begun below records impressions recently gathered by an un-shepherded visitor to Russia who was able to collect at first hand some rank-and-file opinion on the regime and its policies". i. The Rulers and Ruled. Below the Surface. ii. Fanaticism and disillusion. Open discontent. iii. Strength of the Communists. War Propaganda. The Western Mail, Cardiff. 31 December 1930.
i. ***"The Victim of 1930." - This End of Year article, though not specific to the Soviet Union, gives a very prophetic analysis of the world political situation, which would unfold throughout the Nineteen-Thirties. The Western Mail, Cardiff. 7 - 11 April 1931.
ii. Russia’s Future. Stupendous Plan of Communist; Coal, iron and steel. A vast scheme for agriculture. iii. Forces behind Stalin’s Dictatorship. Peasants submissiveness which Britons would not tolerate. iv. Russian workers disillusioned: forces against the Five-Year Plan: Scarcity of food and clothing. .
v. Mixture of successes and failures: Progress at the expense of happiness. The Star, London. My Russian Diary. 22 -16 October 1930. **** Gareth's personal four page letter of August 26th, 1930, to his parents from the safety of Berlin after leaving the USSR, where he predicted 'many deaths' through 'starvation' (as a result of the Five-Year Plan). The Times, London. The Real Russia. 14, 15, 16 October 1931.
i. The Peasant on the Farms: Increase and its cost. ii. The Outlook for the Plan: From the farm to the factory. iii. Youth and the future: A blessed word. The Western Mail , Cardiff., 7 November 1932.
i. * Lenin’s widow talks to a Welshman. 15th anniversary of the Bolshevik Revolution. 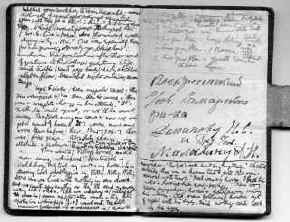 * Experiences in Russia in 1931 - A Diary. Gareth & Jack Heinz II tour the Soviet countryside and discover the extent of starvation. **** This book was anonymously written & privately published by Jack Heinz II, heir to the Pittsburgh food corporation, and is based extensively on Gareth's diary notes of their one month's visit. It portrays Gareth's first-hand observations of the great food shortages caused by the policy of Collectivisation. From an historical point of view, even in 1931, there are seven references in this book to the word 'starve' or starving'. To view Gareth's complete collection of rare Soviet Political Propaganda Posters, purchased on his 1931 visit to the Soviet Union with Jack Heinz II, then please click the link above. 3) In September / October 1932, Gareth was Fully Aware of a Soviet Famine. In October 1932, there were increasing rumours within informed London circles and other circumstantial evidence which Gareth had gleamed from recent Soviet Press of an impending famine crisis about to befall the Soviet Union. This news prompted Gareth to return to the Soviet Union, at his earliest opportunity in Spring 1933 at the end of his spell of employment with Lloyd George. During the previous August in 1931, Gareth and Jack Heinz II, had already seen first-hand 'starving-peasants' and listened to their tales of malnutrition and the failures of Collectivisation (See Jack Heinz's 'Diary' above for evidence). 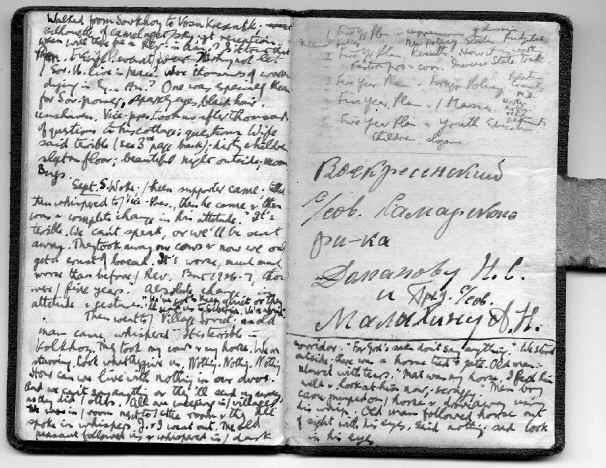 Gareth decided to incorporate these diary observations along with recently received reports from Izvestia into two newspaper articles, in an attempt to publicise his fears of an inevitable famine. Russia Dreads the Coming Winter. 15 October 1932. Russia Famished Under the Five-Year Plan. 17 October 1932. In comparison, Walter Duranty wrote an article entitled: "The Crisis in the Socialisation of Agriculture" from: Moscow, on November 24, 1932, in which he admitted that the: "...Five-Year Plan, has run against an unexpected obstacle— the great and growing food shortage in town and country alike." But within the same article also stated: " There is no famine or actual starvation, nor is there likely to be." 4) Gareth’s final visit to the Soviet Union in March 1933, exposing the Holodomor (Soviet Ukrainian Famine-Genocide). Click on the above picture for more legible detail & transcript..
New York Evening Post. Foreign Service. From Berlin, Wednesday March 29th 1933. Gareth's first famine report, filed by H. R. Knickerbocker, the 1931 Pulitzer Prize Winner. * "Russian Famine Now as Great as Starvation of 1921, Says Secretary of Lloyd George." The Sun [Exact U.S. city not yet verified, probably The Sun newspaper of Baltimore, Maryland] - Special wireless dispatch from Berlin, March 29th, 1933. However the main text is identical to Mowrer's above article, so one can presume he syndicated the article to another paper, but this newspaper's sub-editor then applied his own title and sub-headings. Reports Russians are Starving: Lloyd George’s secretary tells of visit to the Ukraine - Says Terrorism is Rife. The Morning Post. [London]. March 30th, 1933. The Daily Express. [London] March 30th 1933. Millions Starving In Russia. 'There is no bread, We are Dying.’ "Keep Cool" says Soviet Ambassador referring to arrest of Metropolitan-Vickers engineers. The Yorkshire Post. [Leeds] March 30th, 1933. Famine in Russia. British Visitor Fears Death for Millions. The London Evening Standard. March 31st, 1933. * Famine Rules Russia. The Five-Year plan has killed the bread supply. This Evening Standard famine article was the first piece to be signed by Gareth; all prior famine articles were taken from his 29th March Berlin press release, distributed by H. Knickerbocker of the New York Evening Post. The photo on the left is from Gareth's own cuttings book. Click on photo for a high resolution legible copy of Gareth's article (450kb) - then after downloading, copy the image to your hard disk and use read using any photo editor. Or click HERE just to read a transcript of the article. Manchester Guardian. March 30th, 1933. Famine in Russia. Englishman’s story: What he saw on a walking tour. *** Walter Duranty's (1932 US Pulitzer Prize winner and 'Stalin's Apologist' Moscow-based journalist) speedy and famous rebuttal and denigration of Gareth's eyewitness accounts entitled: 'Russians Hungry, But Not Starving'. *** CLICK HERE to read A. W. Kliefoth's, US Berlin Embassy memorandum of 4th June 1931 of his meeting with Duranty in which Kleinfoth reported; "In conclusion, Duranty pointed out that 'in agreement with NEW YORK TIMES and the Soviet authorities,' his dispatches always reflect the official position of the Soviet regime and not his own." Berliner Tageblatt [Germany]. April 1st, 1933 (Morning Edition)..
"Hungersnot in Russland?" (Famine in Russia?). Paul Scheffer, London Correspondent of the Berliner Tageblatt filed this first German famine report by telephone after meeting his friend and colleague, Gareth, in London on Gareth's arrival from Berlin and Moscow. FYI - Paul Scheffer was also banned by the USSR for his Moscow reporting in the late 1920s, and subsequently became editor-in-chief of the leading liberal, non-Nazi, Berliner Tageblatt from 1934-36. He resigned after editorial constraints imposed by Goebbels, and in 1938 was ludicrously cited in evidence of defendant, Chernov, in the third Bukharin Soviet Show Trial as being a German Spy master orchestrating sabotage of Soviet grain in the 1930s. He emigrated to the USA and unfortunately as a direct result of these allegations was interned after Pearl Harbor. For background documentation to Scheffer's life please click HERE. Time Magazine [USA]. Foreign News. May 10th, 1933. * Gareth's Famine allegations along with Duranty’s second rebuttal to his reports. The New York Times May 13th, 1933. *** Mr Jones Replies: Former secretary to Lloyd George Tells of Observation in Russia. Published: May 13th 1933 [written 1st May]. This was Gareth's reply to Duranty's rebuttal of his famine allegations in the New York Times of 31st March 1933. The Daily Express. [London]. April 3rd - 8th, 1933.
i. * The Real Truth About Russia at Last: Secrets of the Kremlin: In the shadow of catastrophe: Charges of espionage, wrecking and bribery. ii. ‘Bread! We are Dying’: Parliament Asked to Rush Through Bill Controlling Russian Imports. iii. * Soviet Confiscate Part of Workers’ Wages: Hounded from the towns. iv. * Nine to a Room in Slums of Russia: Russia’s Collapse: We are waiting for death. v. 15 Hours to Wait for the Shops to Open: Frosty Vigil Lasts all night: Black Bread 2s. per Slice: Bands of Homeless Children: Typhus at the Station. vi. Pitiful Lives of Soviet Factory “Slaves”: Russia’s Collapse: Driven out by misery and starvation. The Western Mail, [Cardiff] . April 3rd - 12th, 1933.
i. * Interview with the former Pre-Soviet (July 1917) Russian Prime Minister Kerensky regarding the Famine, who stated that: the arrest of the British engineers arose from Stalin’s decision to inaugurate a reign of terror, and was an effort to explain the collapse of the Five Year Plan. ii. * Starving Russians seething with discontent: Britons Arrested seen as a: “Sop". iii. * O.G.P.U.’s Reign of Terror in Russia. iv. Majority for Russian Imports Bill: Soviet Dwindling Trade. v. My thoughts on the Journey to Moscow: Putting the Clock Back by Centuries. vi. * Why People are Starving in Russia: Seizure of Land and Slaughter of Stock: Peasants Subsisting On Potatoes and Cattle Fodder. vii. Why There is Unemployment in Russia; Food Shortage and Lack of Raw Materials. viii. * Soviet Ready for War: Active Military Preparations: Why She Will Never Attack Another Country: Attitude towards the League. ix. * Easter in a Godless Country: Renewed Persecution of Christians. Easter 1933. The Financial News, [London]. Balance Sheet of the Five-year Plan. April 11 - 13th 1933.
iii. Ruin of Russian Agriculture. The Daily Express, [London]. April 11th, 1933. New York American, Inc. U.S. syndication of two articles of Gareth's. June1933. Washington Herald. June 4th, 1933. ‘Bread, We Are Starving!’ Is Cry Heard Throughout Russia, Finds Gareth Jones. Boston Sunday Advertiser. June 11th, 1933. Famine Man Made. Soviet Collective Farm Move Caused Famine in Russia. Human Factor Ignored in Five-Year Plan. "Peasants in Russia - Exhausted Supplies" in support of Muggeridge's three famine articles in which he concludes: "I hope that fellow liberals who boil at any injustices in Germany or Italy or Poland will express just one word of sympathy with the millions of peasants who are victims of persecution and famine in the Soviet Union." La Liberté, [Paris]. July 23rd 1933. 5) Gareth’s final three & extremely vitriolic anti-Stalinist 1935 articles - personally commissioned and syndicated across the USA by William Randolph Hearst. Before meeting Hearst on New Year's Day 1935 at his palatial Californian ranch of St Simeon at which Gareth was a house guest, Gareth was invited to be the prestigious guest speaker at the 12th annual meeting of the Institute of World Affairs on the 15th December 1934. Here, he blamed the 5-Year plan of Collectivisation as 'a harbinger of famine' and that 'exile of five million Kulaks was one of the most brutal crimes in European history.' CLICK HERE to read a newspaper report of his conference address. **** Russia’s Starvation- What Lies Behind Wave of Official Murders, That Followed the Assignation of Kirov, Grim Hunger of Peasants Witnessed By Former Foreign Adviser To Lloyd George - New York American / Los Angeles Examiner - 12 January 1935. **** ‘REDS LET PEASANTS STARVE’ -Famine Found Even in Large City in Ukraine. New York American / Los Angeles Examiner - 14 January 1935. N.B. In the second article Gareth becomes probably the first journalist to coin the now much used phrase "man-made famine" (though an American sub-editor, used the term 'famine man-made' in one of his 1933 articles. These damning and heart-rending articles were never challenged or countered by the Soviets; unusually their Stalinist apologists like Walter Duranty and Louis Fischer remained silent and not even the 'Friends of the Soviet Union' penned a letter of complaint. Instead within a month of Gareth's articles, a bogus correspondent "Thomas Walker", who turned out to be an escaped convict, whose 'real 'name was Robert Green had conned Hearst to run a series of five articles chronicling his alleged foray into Ukraine in 1934, where he had even been been able to take photos of the 'on-going' famine. These articles were shown up to be a complete fraud by Louis Fischer of 'The Nation', who was conveniently supplied by the Soviet authorities with his exact USSR entry and exit dates (which 'proved' Walker had no the time to have visited Ukraine) plus the fact Fischer 'knew' the providence of 'Walker's' supposed photo's were clearly fake (for example, scenes depicted in the articles were from both winter and summer and could not have been taken on a single visit). The articles and letters below, provide further information relating to Gareth's exposure of the 1933 famine, including independent confirmation of Gareth's reporting, correspondence to Lloyd George, and to Gareth from Malcolm Muggeridge, Muggeridge's three well-known March reports, plus his January 13th 1933 article, an October Manchester Guardian article by William Henry Chamberlin (retracting their own earlier famine reports), a 1988 US Congress Commission report on the Famine discussing the role of journalists, Eugene Lyons' chapter from 'Assignment in Moscow' on the famine, and a 1958 Ukrainian Review commemorating the 25th anniversary of the famine. In 2005, I have added Duranty's Pulitzer prize winning 1931 articles, speeches from the Donetsk James Mace Memorial Panel, two discussions on Orwell and the famine and finally, Otto Schiller's three unsigned August 1933 Daily Telegraph articles. The Manchester Guardian. Malcolm Muggeridge's (unsigned) three most important famine exposure articles, entitled: 'The Soviet and the Peasantry' from March 1933. Famine in North Caucasus. 25th March 1933. Hunger in the Ukraine. 27th March 1933. Poor Harvest in Prospect. 28th March 1933. The Manchester Guardian. March 2nd, May 8th & 9th, 1933. Letters to the Editor (W. P. Crozier), plus a report of one of Gareth's lecture talks in January 1933 telling of famine conditions. Letters to the Editor - from George Bernard Shaw. 2nd March 1933: "We the undersigned are recent visitors to the USSR. Some of us travelled throughout the greater part of its civilized territory. We desire to record that we saw nowhere evidence of such economic slavery, privation, unemployment and cynical despair of betterment as are accepted as inevitable and ignored by the press as having “no news value” in our own countries." ***Letters to the Editor - from Gareth. 8th May 1933, (repeat of above link) entitled: "Peasants in Russia - Exhausted Supplies" in support of Muggeridge's three famine articles in which he concludes: "I hope that fellow liberals who boil at any injustices in Germany or Italy or Poland will express just one word of sympathy with the millions of peasants who are victims of persecution and famine in the Soviet Union." Letters to the Editor - from Mr E. H. Brown of The National Committee of the Friends of the Soviet Union (an organisation partly funded the Amtorg / Arcos - both trading fronts of the OGPU) 9th May 1933. Immediate & classic pro-Soviet riposte entitled: "Agriculture in Russia - Breakdown Denied", denigrating the Manchester Guardian's three initial famine articles by Muggeridge. Manchester Guardian Report of Gareth's Lecture to Flintshire League of Nations Society on 24th January 1933 referring to famine conditions in the USSR. Correspondence with Lloyd George relating to Gareth's travels to Germany and The Soviet Union in early 1933. * Letter (27 January 1933) on route outlining Gareth's plans & purposes of his trip. **** Gareth's first correspondence exposing the Famine, after leaving the Soviet Union from Berlin, 27 March 1933 - in which Gareth as a 27 year old has the afront to tell his employer( and former British Prime Minister); 'The situation is so grave, so much worse than in 1921, that I am surprised at your admiration for Stalin'. * Confidential interview with Soviet Foreign Minister, Litvinoff (Litvinov), relating to arrested foreign engineers and correctly prophesising the major starting points of the Second World War. Time Magazine - 4th December 1933 article; 'Caviar to Litvinoff' reporting an Amercian Big-Business celebration dinner to Litvinoff at the Waldorf-Astoria, New York following Litvinov securing US-USSR diplomatic relations - CLICK HERE. Support for Gareth's exposure by Cardinal Innitzer, Archbishop of Vienna and Dr Ewald Ammende, Secretary of the European National Congress in August 1933. New York Times. August 20th 1933. Cardinal Asks aid in Russian Famine. The Western Mail. August 30th 1933. Appeal by Archbishop of Vienna, Cardinal Innitzer. Also another confirmation by Dr. Ammende, Secretary General of the European Nationalities Congress. Answers. [London, E.C.4.] February 24th, 1934, 'My Journey Through Famine-Stricken Russia' & March 4th, "Why Russia is Hungry!" By Whiting Williams. With 'photographs'. Williams was probably the only journalist to visit Ukraine after Gareth, during the summer of 1933 and before Duranty was given permission in September 1933. "My Journey Through Famine-Stricken Russia" - February 24th 1934, Mr. Whiting Williams, the first man to travel across the hungry Russian Ukraine since famine conditions returned in the spring of 1933, is an experienced business man and journalist and the author of many books on working-class conditions. "Why Russia is Hungry"- March 3rd 1934, "In a further article below, he answers the conundrum: “Why is Russia Hungry?” and explains the causes which lie behind the tragedy of the breadless Ukraine"
A confidential circular and not intended for circulation by Whiting Williams, dated 20 October 1933, relating to his independent observations of Europe in the Summer of 1933, including probably the only reported and un-chaperoned travel around Ukraine. Letter dated 17th April 1933. Letter dated 29th September 1933. The Morning Post. Series of four articles entitled 'Russia Revealed' by Malcolm Muggeridge. June 1933. I. The Five-Year Fiasco. Ruin, Starvation and Death. Agony of the Unwanted Citizen. II. Crucifixion of the Peasants. Slave State in Grip of Famine. III. Terror of the G.P.U. Perverted Soul of Bolshevism. The Manchester Guardian. October 19th 1933. By their usual Moscow Correspondent, back from leave (W. H. Chamberlin), who files an article towing the Soviet line, after having recently returned from the Soviet Countryside: "But the stories in the émigré press about wholesale starvation are nonsense." According to S.J. Taylor's 'Stalin's Apologist', Chamberlin left the USSR shortly thereafter, disillusioned and never to return. This is a sample (No. 3 of 5) of some of the autumn's defamatory and more sympathetic Soviet rhetoric (used to ridicule Gareth and Muggeridge), which emanated from the same left-wing organ, that in March of the same year, originally published their famine exposure. 1988 US Congress Commission into the Ukrainian Famine's report on the role of Foreign Journalists. * For further important reading which historically vindicates Gareth's exposure of the 1932-33 Famine from the 1988 US Congress Commission on the Ukraine Famine - This document discusses how international journalists: Gareth Jones, Eugene Lyons, Ralph Barnes, Malcolm Muggeridge, Walter Duranty, Louis Fischer and others handled the Famine. Information about who told the truth and who did not. CLICK HERE FOR DETAILS. A General Survey of Agricultural Conditions in the USSR - April 1933 - by Gareth Jones - An academically-based briefing paper within our possession, most probably distributed to Lloyd George and Dr. Ivy Lee, amongst others - N.B. This is an Adobe Acrobat PDF file. *** Eugene Lyons' 1937 Assignment in Utopia. Chapter XV, 'The Press corps conceals a famine', in which he apologises for the Moscow based repudiation of Gareth. "The Russian Terrorist Regime and the Artificial Famine in Ukraine (1932-33)". The Ukrainian Review (1958) By A. Mykulyn. "...Twenty-five years have passed since the artificial famine was organised in Ukraine by Moscow in 1932-33 for the purpose of crushing obstinate Ukraine for ever. We should like to remind the free world of this fact, since it often forgets that Moscow continues to advance for the purpose of conquering the entire civilized world, be it by means of “peaceful” coexistence or by force." **The following letters from German-speaking sufferers of the Holodomor were probably acquired by Gareth from the Berlin Evangelical Charity 'Brüder in Not' (Brothers in Need) in May 1933 and refer to incidents of cannibalism. SOVIET CENSORSHIP HURTS RUSSIA MOST. 23 June 1931. *STALINISM SMASHES FOES IN MARX’S NAME. 24 June 1931 "...That, reduced to its harsh essentials is Stalinism today. It is not lovely, nor, in the outside world, of good repute, and your correspondent has no brief for or against it, nor any purpose save to try to tell the truth." Walter Duranty. RED ARMY IS HELD AS NO MENACE TO PEACE. 25th June 1931. STALINISM SOLVING MINORITIES PROBLEM. 26th June 1931. STALINISM’S MARK IS PARTY DISCIPLINE. 27th June 1931. ** Click Here for Nigel Linsan Colley's personal and ongoing appraisal (further contributions welcome) of Orwell's symbolisms relating to the famine. Click Here for a an online complete copy of Animal Farm. **** Was Gareth murdered for his Famine Exposure by Stalin's Regime? Two pieces of recently discovered strong, circumstantial evidence of the NKVD (Soviet Secret Police) being behind Gareth's murder. CLICK HERE. Private Correspondence from Walter Duranty to H. R. Knickerbocker between 1927 to 1933, from Knickerbocker's papers at Columbia University. It includes Duranty stating in June 1933, "The “famine” is mostly bunk as I told you, except maybe in Kazakstan and the Alti," CLICK HERE. The James Mace Memorial Panel, in Donetsk, Ukraine on June 29th, 2005 entitled: "New evidence on how the famine was eye-witnessed and concealed". International Conference papers and details available HERE. FAMINE’S RETURN TO RUSSIA - Death and Depopulation in Wide Areas of the Grain Country. Friday 25 August 1933. RUSSIA’S STARVING PEASANTS. Soviet State Does Nothing Save Accuse Them of Hiding Grain. Monday 28 August 1933. CORN GROWING IN FIELDS WHERE ALL THE PEOPLE HAVE PERISHED. Wednesday 30 August 1933. Copies of all 21, allegedly authentic 1933 Ukrainian famine photos, according to Marco Carynnyk, and as originally published in Dr Ewald Ammende's 1935 "Muss Russland Hungern?" are reprinted HERE with English translations. CLICK HERE to read an almost forgotten, but equally-damning follow-up famine-denial article (6th April 1933) in the New York Times by Walter Duranty entitled; 'Soviet Industry Shows Big Gains'. In it, Duranty writes that by virtue of increased industrial output; 'is the most effective proof that the food shortage as a whole is less grave than was believed'. This second famine-denial article shows that Duranty's intentions were to be continually deceptive & furthermore, his actions were clearly deliberate & premeditated in his original 'Russians Hungry, But Not Starving', published just a week previously. For an updated version, from presentations given in Canada in November 2006 please click HERE. CHAPTER VI - CONCEALING THE FAMINE, 1932-1934 - This chapter also details the initial selection process behind awarding Duranty's 1932 Pulitzer. CHAPTER VII - 1934-1944: WINDING DOWN - Duranty Returns to the U.S. - Fischer Regains His enthusiasm... Conclusions.. In 1940, Muggeridge wrote an acclaimed book, The Thirties, in which he devoted pages 86 - 90 to the Soviet Five-Year Plan. Click here for the relevant extract from The Thirties. Soviet Famine Revelations', London News Chronicle, 2 November 1933, author unknown. 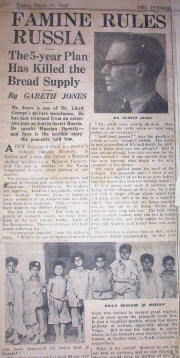 A newspaper article found in Gareth's effects, which claims that the 'man-made famine' claimed between 3-5 millions lives and that, " Stalin believes that the peasants have learnt their lesson". CLICK HERE to see an image of this article. Gareth's private correspondence to his family & Lloyd George before, during and after his 1933 trip to the Soviet Union have now been transcribed. 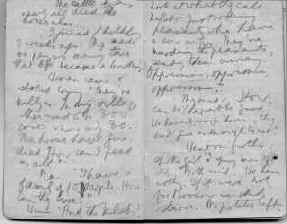 CLICK HERE to see an 8mb PDF with legible images of his letters with adjacent transcriptions. Click HERE to visit Morgan William's www.ArtUkraine.com which has a large source of material relating to the Holodomor.